What do unschoolers do all day? What does a day of unschooling look like? I get those two questions a lot. No two days look alike in unschooling, but there is a sort of unschooling rhythm that you can find with your kids. We teeter back and forth between our really productive days and our slower days. The balance of those different days are really important to our family (as well as our sanity). 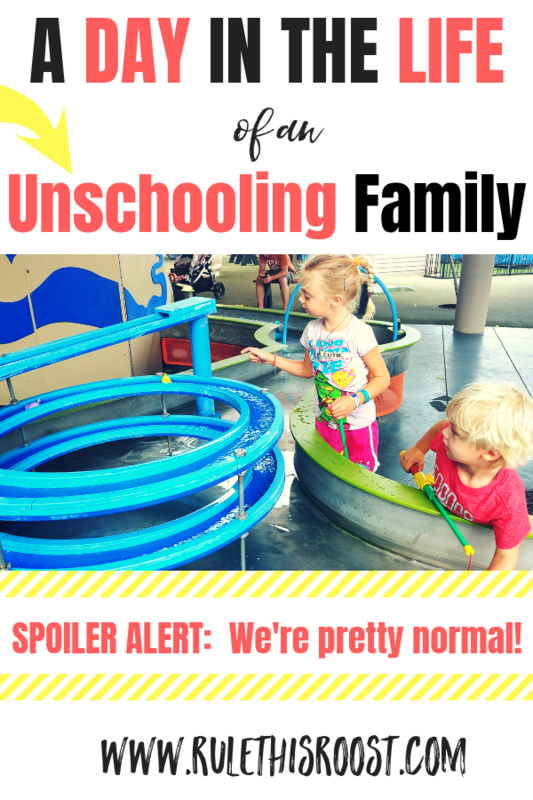 Our day in the life of unschooling might look a lot different than the next family, and that is to be expected. After all, unschooling is all about academic freedom and your kids pursuing their individual interests. This post may include affiliate links. Please see my full disclosure for more information. So, what does a day in the life of unschooling look like? Keep readin’! It’s 8:30 a.m. and the kids are drowsily beginning to toss and turn in the bed. Yes, they’re sleeping with us. 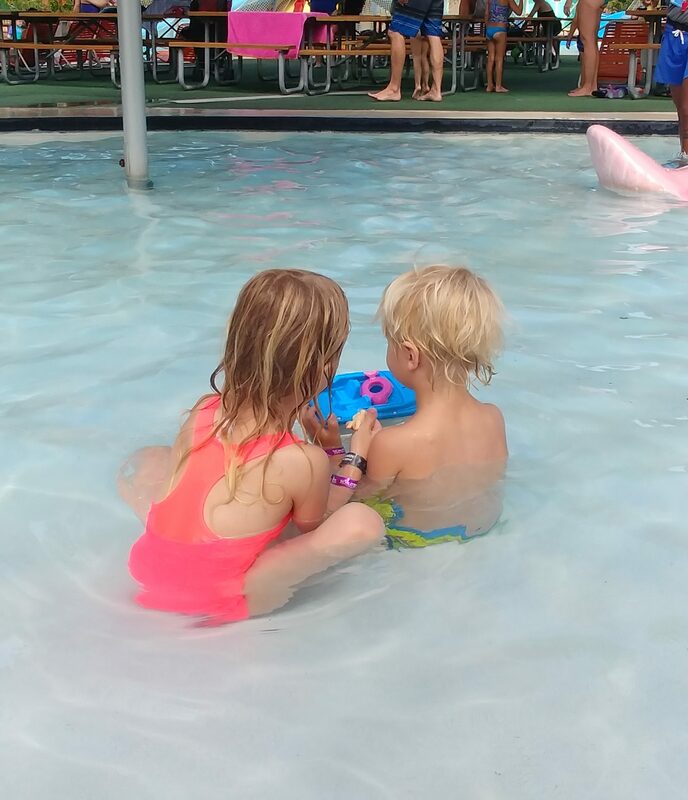 This isn’t a part of our unschooling journey, but rather the fact that we have been on the move for the past couple of years (rental house, RV, current house) and it has just been easier to transition to all of these places with the kids in our bed. Most mornings, both kids will wake up at the same time, or at least within 30 minutes of each other. We head to take showers and then get dressed for the day. Our days start slowly and that’s just how we like it. By 9:30 a.m. breakfast is on the table. Both kids love to help with scrambled eggs, so sometimes they will grab a spatula and help flip the eggs around. 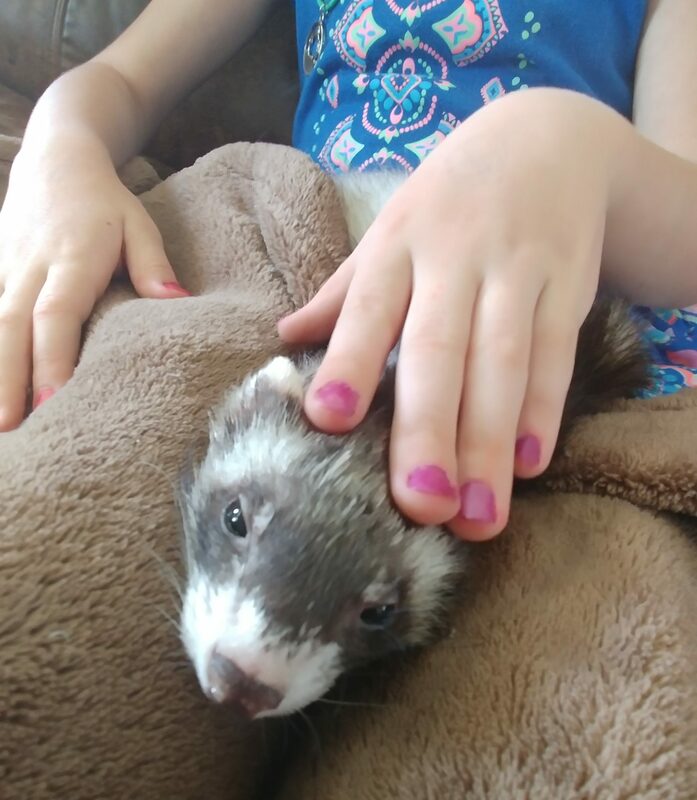 Once they’ve had enough fun with the eggs, they play outside or they play inside with their pet ferret (or one of our very old dogs). Sometimes they will choose to watch TV while I am cooking, but we have gotten away from that (and I am thankful). I’m not against screen time by any stretch of the imagination, but I like for mornings to be peaceful, without the background noise of a television. During breakfast we read poems from Where the Sidewalk Ends and the kids take turns saying the blessing over our food. To me, being able to cook hot meals for my kids each day is a humongous perk of having them at home with me. We talk a lot during all of our meal times and I believe it’s the cornerstone to a successful unschooling journey (AKA– our life). These conversation starters are great for chatting about new things. Meal times are also a great time to map out the day and talk about goals. 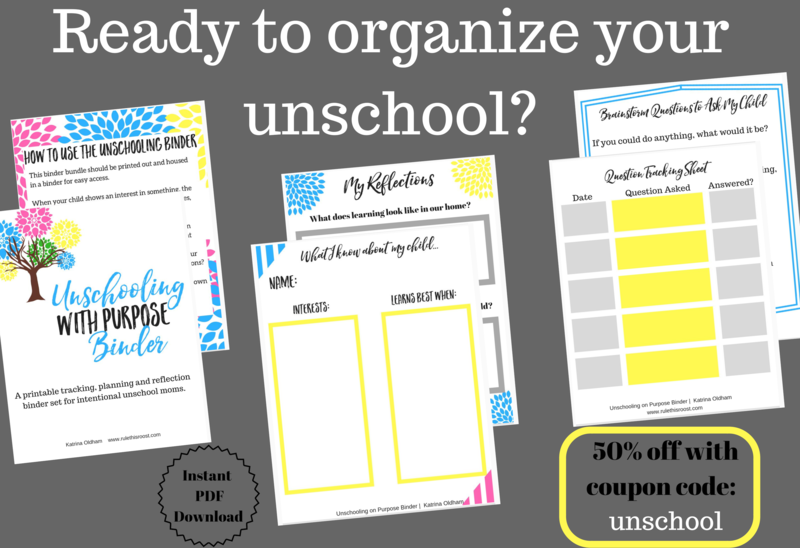 You can jot down your reflections and your kids’ interests/goals in my Unschooling With Purpose Printable Binder Set. Grab it for 50% off with the coupon code UNSCHOOL. By 10:30 a.m. I am cleaning up the kitchen from breakfast and the kids are spending more time playing. My 6 year old daughter is usually crafting a box fort or playing with her brother. They love to build and create. Their imaginations run wild, and it’s just as their childhood should be— letting their creativity take the lead. 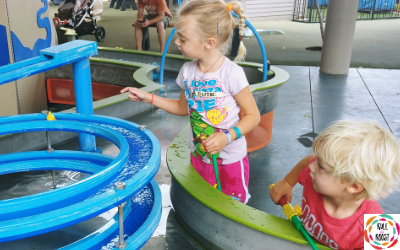 ur favorite outings are: our local children’s museum, our amazing local park, our neighborhood pond and any special co-op field trips that are planned and pique our interest. When we are outside, the kids love swinging, playing in their sandbox and playhouse, and hunting for bugs to catch. When they catch bugs, we identify them and talk about what they eat. Then, we let them go or provide them with food and water and investigate them a little longer. We have one of these handy little butterfly habitats and a critter catcher so we can watch and learn. When we are ready for a break from the great outdoors, we come inside and do some work around the house. The kids will pitch in to sweep, vacuum, pick up things that have accumulated on the floor. This is such a positive for homeschooling– the fact that I can instill work ethic in my kids throughout the day. I don’t generally nag them to help, but they are helpful by nature and do what they can to pick up and help. At around 1 p.m., the kids are hungry for lunch. I make a quick lunch and we sit together and eat. After lunch and kitchen clean up, we play together. This is really anything that my kids can come up with. Sometimes it’s doctor, and other times we play “family”. It’s entertaining and I love seeing what funny things they come up with as their “characters”. If we have errands to run, I tend to do them in the afternoon. I love our slow mornings, so if I need to get groceries or make a trip to the library, we do that in the early afternoon. This breaks up our day quite nicely. In the car, in the grocery store, or in the library, I talk to my kids about anything and everything. From his carseat, my son will ask me to compute addition problems. I don’t know why, but he just loves to see how high I can go for addition. Sneaky little way to get in some mental math and instill a love for math in my kids. My daughter is also asking questions and soaking everything up that she sees and hears. Not only am I instilling a love for learning in them, but I’m trying to instill kindness and compassion as well. The latter is so much more important to me. After a couple of hours out of the house, we come back and either play outside or doing something creative inside. Both of my kids LOVE to make shadows on the wall. 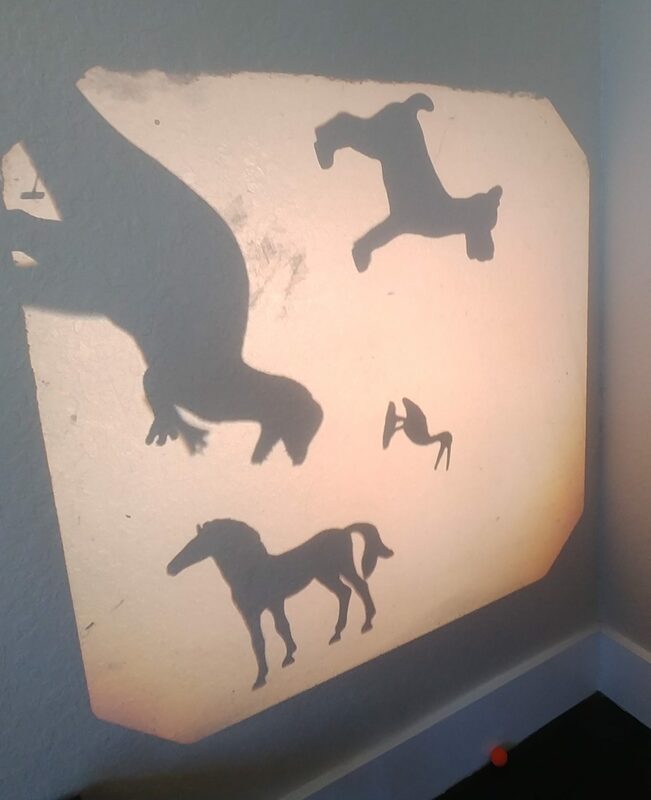 I nabbed two, used overhead projectors so the kids can make shadows with their hands, see what objects might be see-through, or write to see their words on the wall. My daughter might ask to play ABC Mouse, or do an online art lesson with Alisha from Masterpiece Society. My kids’ lead the way on their art projects and I don’t ever force my ideas on them. Suggestions, yes, but I never take over what they are creating. I also post a monthly activity from our Nature Book Club and that is always something that the kids look forward to. My daughter recently discovered her Usborne “Telling Time” wipe off book and she has jumped in, feet first, to learning how to tell time on a clock. It’s moments like her reading an actual clock that reinforce our unschooling lifestyle. She learns so joyfully, freely and perfectly, without a set curriculum to follow. At 5 p.m. Daddy comes home, but has to go straight to his office so he can make some phone calls to customers. Bummer. The kids play well together at this time, which makes dinner prep much easier. At 6 p.m. we sit down and eat dinner. The kids say the blessing and we talk with Daddy about our day and about all the interesting things we learned and want to know. We grab Where the Sidewalk Ends and make sure to share our favorite poems with my husband. By 7 p.m., the kids are getting ready for bed and we snuggle in together after a fun day. We try to read at least 2 books per kid, but sometimes our 4 year old is too tired and opts to go to bed right away. 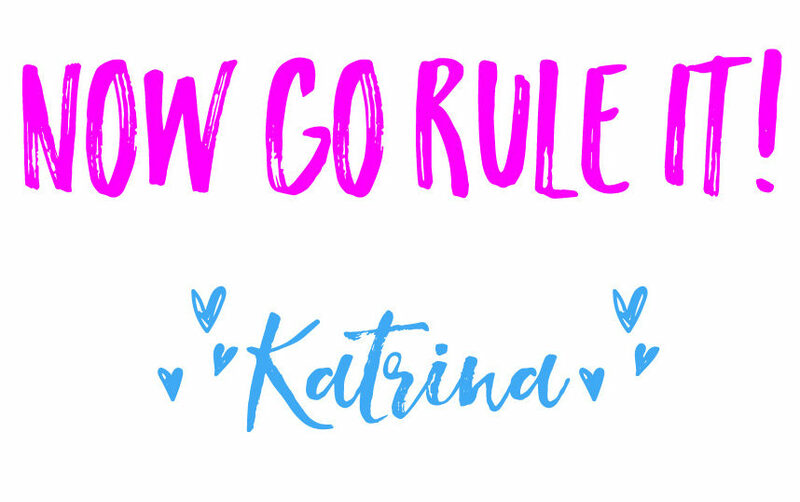 If I don’t fall asleep with the kids, I climb back out of bed and spend some downtime with my husband, work on my blog or take care of household things that have gotten away from me during the day. I finally get myself ready for bed at around midnight or 1 a.m. and say my prayers, thanking God for the amazing opportunity to get to spend each and every day nourishing my kids’ minds, bodies and spirits. It really is a blessing that I am grateful for. 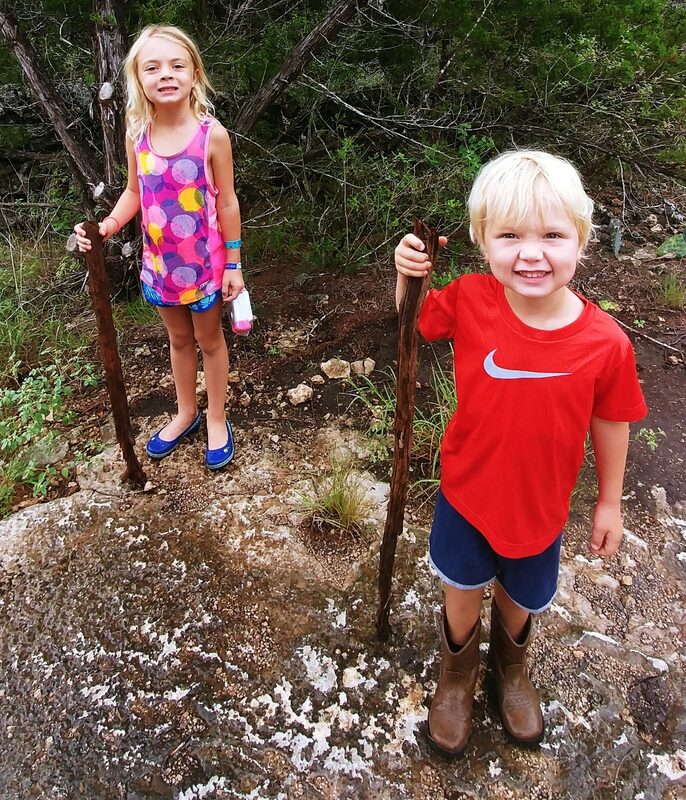 Unschooling has been a huge blessing to our family. Each day is filled with new discovery and learning and there is no limit to what my kids can pursue. They are constantly seeking information, soaking up what they learn and showing me what childhood should really look like. I just want to second what Tracy said, thank you! I am actually a ‘veteran’ homeschooler who has almost always had an unschooling mindset and heart, though I just recently began to fully embrace it. I feel that most of the popular unschooling information available leans towards radical unschooling and on a whole is quite opposed to many of the core values I choose to instill in my children. Thank you for providing a simplistic yet wholesome approach to unschooling. Thank you for reading and for the kind words! It is so hard to fully embrace unschooling. Not radical unschooling, but academic unschooling in general. It feels weird at first, and then you figure out that it’s such a natural and beautiful way for kids to grow up! I am really trying to provide unschooling knowledge that is more of a “modern” approach so that parents can see that you definitely can have an orderly household without forcing academics, perse. I just wanted to say that your blog is very unscary and makes me feel like I CAN unschool. Hi Tracy! Thank you for stopping by! I’m so glad that you feel that way! My goal is to help anyone who wants to unschool feel like they are able to. I was a little fearful when I got started too and then learned that the stigma on the label is just misinformation that’s been put out there. You TOTALLY can do it and you won’t regret it!